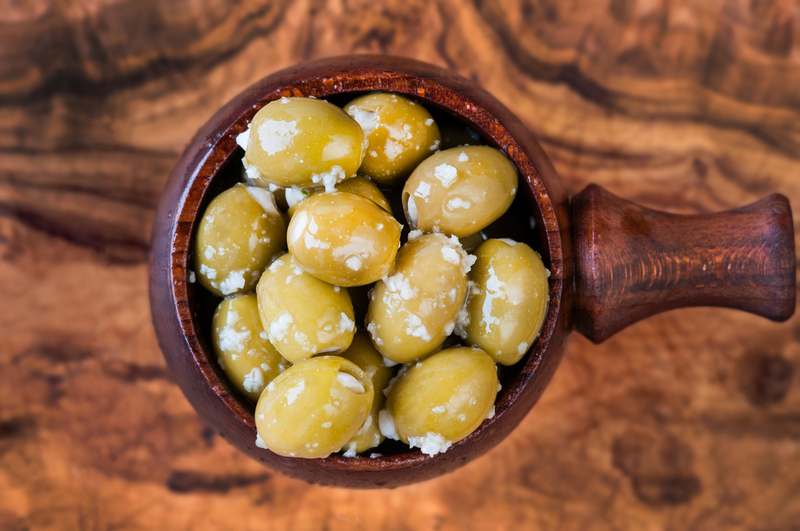 These olives are stuffed with whole pickled garlic cloves and a touch of chopped garlic. This ensures that you get a lovely garlicky hit and the tasty crunch of the pickled garlic is always a winner. Stuffed Garlic Olives (91%), Garlic (1%), Rapeseed Oil. (Warning: Some olives may contain stones).